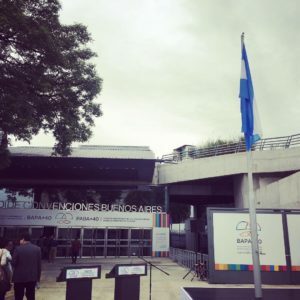 On March 20-22, 2019, the second high-level UN conference on South-South cooperation was held in Buenos Aires. 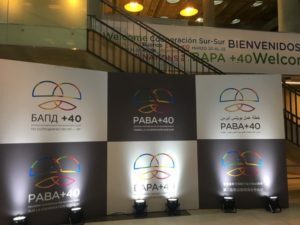 The conference was timed to the 40th anniversary of the Buenos Ayr Action Plan. The conference included a plenary session, as well as three discussion forums: 1) “Comparative advantages and opportunities for South-South cooperation”; 2) “Challenges and strengthening the institutional framework for South-South and triangular cooperation”; 3) “Enhancing capacities for the implementation of the 2030 Agenda for Sustainable Development in support of South-South cooperation and triangular cooperation”. The plenary session was devoted to official appeals and organizational issues, including the election of the Chairman of the Conference, the adoption of rules of procedure and agenda, the election of officers other than the Chairman, the appointment of members of the Credentials Committee and other issues. Following the plenary session, three resolutions were adopted: the Buenos Aires final document of the United Nations High-Level Conference on South-South Cooperation, Expression of Gratitude to the People and Government of Argentina, Powers of Representatives at the Second High-Level UN Conference on South-South Cooperation. A number of thematic events of the academic community and non-governmental organizations on assessing the effectiveness of development cooperation, the digital agenda, the participation of the private sector, the role of value chains were also held on the margins of the conference. Experts of EDSG took part in the formation of the position paper of the academic and civil society in relation to the development of the future agenda of international South-South cooperation. The recommendations reflected the main directions of the forum discussions. In particular, in the area of ​​institutional issues, the participants reflected the importance of developing systems for monitoring and evaluating financial flows related to cooperation between the countries of the South and triangular cooperation. The Russian Federation supports the format of South-South economic cooperation through trilateral cooperation with the countries of the South. In particular, through the mechanisms of international organizations, projects are supported in Tanzania, Morocco, and Tunisia. Also, trilateral cooperation of the Russian side is carried out within the framework of business operations in developing countries, such as Guinea, Mozambique, etc. The Ministry of Finance of the Republic of Belarus appealed to Russia with a request to extend a loan in the amount of $ 600 million to cover the amount of payments on loans of the Russian government in 2019, which currently stands at about $ 630 million. At the same time, the Government of Belarus had previously applied for a loan of $ 1 billion in order to refinance all debts owed to Russia and the Eurasian Fund for Stabilization and Development (EFSD). 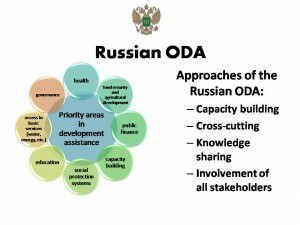 In 2017, the volume of official development assistance (ODA) provided by Russia to Belarus amounted to $ 2.25 million. However the loanissued by the Russian Government amounted $ 700 million in the same year for the next 10 years. The decision on granting a loan has not yet been made. However, the provision of a loan can be used as a mechanism to resolve the issue of compensation for export duties and refusal of protectionism in relation to Belarusian industrial enterprises, which puts Russian companies in unequal conditions with Belarusian ones. Moreover, the provision of a loan can be a profitable solution for Moscow, since Minsk will ultimately be more likely to fulfill its obligations, albeit with a small time lag. Moreover, the funds for refinancing in the Russian budget laid. It should also be noted that Russia participates in the provision of multilateral assistance to Belarus through the EFSD. So, in the period 2016 – 2018. EFSD provided $ 2 billion in seven tranches for the implementation of structural reforms and improving the quality of economic policy pursued by the National Bank of the Republic of Belarus. According to lenders, multilateral budget support will allow the country to go on the path of sustainable economic growth. On January 31, 2019, the Information and Analytical Agency FINAM held an on-line conference entitled “The Russian Economy: Looking to Venezuela”, dedicated to current problems of the Russian economy. In 2018, according to the Ministry of Economic Development, Russia’s GDP grew by 2%, which is slightly higher than expected according to forecasts. The experts drew parallels between the crisis in Venezuela and the risks of the Russian economy. By many estimates, Russian macroeconomic policy is one of the most effective in the world. There are no prerequisites for hyper-inflation and it is not expected yet. A common feature for countries is high dependence on oil exports, which determines the vulnerability of the economy. At the same time, factors of vulnerability and risks are not only dependence on the international market, which determines oil prices, but also the concentration of administrative resources around the oil sector, which sets the tone for the entire economy. But the risks remain. That is why the organizers gave the discussion such a name. Sanctions remain the key challenge for Russia. The contribution of sanctions to reducing GDP is, according to various estimates, from 1 to 1.5% per year. The ruble exchange rate depends largely on the conjuncture of oil prices, but also on the interest in the Russian market. Sanctions significantly reduce the interest of foreign investors. The effect of sanctions also entails an outflow of capital from the country, which in 2017 amounted to about $ 20 billion (approximately 1.5% of GDP). The strongest impact of the sanctions had on the financial and oil sector. In certain areas of the oil and gas industry, technical sanctions have had a very strong effect. About 90% of key technologies for extracting hydrocarbons on the shelf are foreign. The increased volatility of the ruble exchange rate is becoming one of the key risks associated with the possible further expansion of sanctions. 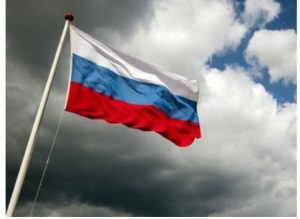 In addition to the threats to the financial stability of the Russian Federation associated with sharp fluctuations in prices and profitability of financial assets, this factor destabilizes foreign economic cooperation, preventing the conclusion of long-term trade and investment contracts. The EDSG experts took part in the discussions. On November 9, 2018, the Finam Agency held an online conference entitled “Russian Economy: Sanctions, Budget, May Decrees”, dedicated to topical issues of the Russian economy. During the conference, participants discussed issues related to new possible sanctions by the United States, rising gasoline prices, lower real spending on the population and rising poverty in the medium term. According to the participants, all of the above questions reduce the likelihood of Russia joining the top five largest economies by 2024. From 9th to 11th October, 2018 the “International Symposium on Water and Land Resources in Central Asia“ took place in Almaty, Kazakhstan. 167 participants from 18 countries discussed climate and socio-economic issues, environmental risks, natural resource management, as well as capacity development. Research papers and special findings from interdisciplinary symposium will be published in Central Asian Journal of Water Research (CAJWR). 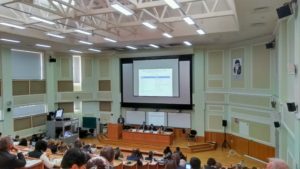 On October 2–4, 2018, the Third International Conference on food security in the Eurasian region “Agricultural and Food Systems Transformation for Better Food Security and Nutrition in Eurasia” took place at Lomonosov Moscow State University. The annual conference is organized by the Eurasian Center for Food Security (ECFS) with the support of Ministry of Finance of the Russian Federation, World Bank, International Food Policy Research Institute, International Center for Agricultural Research in Dry Areas, and the Food and Agriculture Organization (FAO). 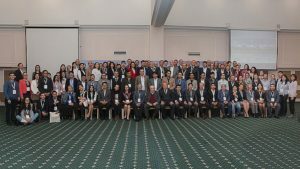 More than 150 participants from regional and international organizations, scientific and educational institutions, various governments discussed the transformation of agricultural and food systems to improve food security and nutrition in Eurasia, as well as possible solutions to existing problems in this area. During the event experts discussed food loss and waste, climate challenges for food security, as well as achievement of the sustainable development goals in the region. EDSG experts participated in the session dedicated to the agricultural and food systems transformation in Eurasia. In September 2018, a Russian version of online lecture course “International Development Cooperation” was posted on the Stepik platform. This course of lectures touches on many of the most urgent problems in the field of international development assistance (IDA), which are considered from the standpoint of interdisciplinary analysis – economics, sociology, law, political science. Such an interdisciplinary approach reflects not only the diversity of professional interests of IDA participants, but also the multidimensional nature of the development process itself and the need to study the entire range of directions of economic and social transformation of recipient countries. The course of lectures has a modular structure and includes 15 models. This allows to create on its basis different in duration and thematic specificity training programs for both university students and practitioners working in the field of IDA. The course is available for free. All materials are available for free download. The August and the Crises: Where Was the “Black Swan” Hiding? On 8 August, 2018 the online conference of the “Finam” Agency was devoted to issues related to the assessment of the probability of the potential financial crisis in 2019 – 2020. Such expectations of economists are associated with worsening forecasts of the World Bank on world economic growth after the period of 2019. Pessimistic estimates are also provided by the Bank of America’s experts who believe that the situation in 2018 resembles the trends of 1998. Thus, the decline is due to the fall in the assests of technology companies in the US, the decline in global demand for energy, as well as the threat of trade wars between the US and China. The experts from EDSG were among the participants of the conference. They shared their views on the economic situation in Russia and on the relationships between trends in the Russian and global economies. In their view, the risks for the Russian economy need to be considered in the context of the general world situation, which could worsen after 2019 with the fall of the world GDP to 2.9% in 2020. The worsening of the global dynamics may be due to protectionism in trade, volatility in the financial markets, as well as to reduction in demand for commodities, and as a result, a decline in prices. The Russian economy can be protected from the global recession by factors such as relatively low public debt, budget surplus. These parameters (together with the decrease in fuel prices) became the main cause of the Russian default in 1998. On June 6, 2018 Center for Strategic Research (CSR) in partnership with RANEPA hosted a round table devoted to issues of programmes and projects in the field of international development assistance (IDA) assessment. The Round table was attended by representatives of government agencies involved in Russian IDA programs and projects (Ministry of Foreign Affairs of the Russian Federation, The Presidential Executive Office, Rossotrunichestvo, Center for Strategic Research), representatives from expert community (Process Consulting Company, Association of Specialists in Program and Policy Evaluation, Russian Association of Statisticians, EDSG) and academic community (RANEPA, MSU), as well as experts from international organizations (World Bank). During the round table experts discussed practical and methodological issues of Russian IDA programs and projects assessment, as well as issues of stating national evaluation system and community of practitioners for Monitoring and Evaluation (M&E) of Russia IDA programs and projects. EDSG executive director and member of EVALSDGs network, performed a presentation «Methodological aspects of the assessment: interaction and cooperation». During his presentation, expert highlighted the importance of building community of practitioners in sphere of M&E and he told about specific tools of communication and knowledge-sharing. 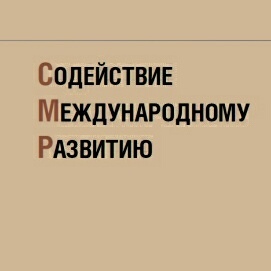 He presented new online sharing-knowledge site www.monitoring-evaluation.ru. M&E site is a source of information and tool for communication. Representatives of the expert community, Alexey Kuzmin, Process Consulting Company CEO, and Natalia Kosheleva, Board member of the Association of Specialists in Program and Policy Evaluation (ASPPE), performed presentations on practical aspects and methodological approaches to evaluation of IDA programmes, main challenges and opportunities in this sphere. The round table became a second event on M&E issues. 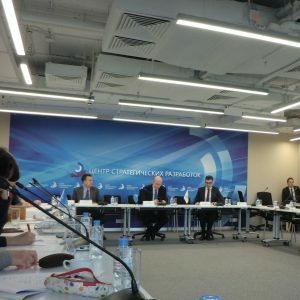 The first round table «Assessement of Russian’s foreign economic activities» took place on December 7, 2017. 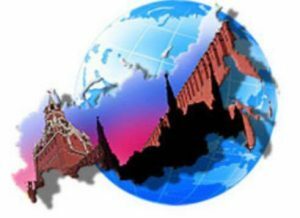 On May 8, 2018, the FINAM Information Agency conducted on-line Conference on the set tasks for the development of the Russian economy named as «Russian Economy: the new government and the old tasks» in wich EDSG experts took part. During the conference the issues of searching for new sources for economic growth, problems of raising the retirement age, as well as increasing the real incomes of the population were discussed. 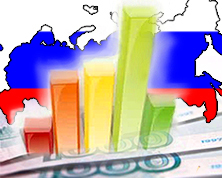 According to experts, prospective sources of growth for the Russian economy may be related to structural reforms. An additional impetus can be given by systemic changes in the interrelationship between sectors of the economy, taking into account the specifics of their output and their contribution to GDP. Part of this can contribute to the already launched initiative of digitalization of the Russian economy. Now the contribution of the digital sector into the Russian GDP does not exceed 2.8% (while in Korea this figure is above 10%). The development of the digital sector can be an additional source for the growth of the domestic economy. Experts shared their views on the question if the help for the oligarchs who were brought under the sanctions (first of all, Deripaska) is provided. In their opinion, more likely scenario is the nationalization of part of the shares of RUSAL. Undoubtedly, the enterprise has systemic significance for the industry, influencing the supply and demand factors in the market. Nevertheless, the industry’s influence has not come strongly in the economy to influence the parameters on the national currency. 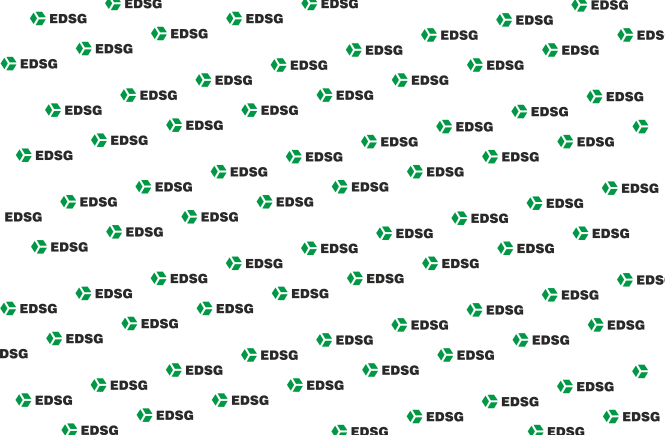 EDSG is an international consulting firm dedicated to development. EDSG has provided advisory services and technical assistance to government, private-sector, and civil-society stakeholders in Russia and CIS. One of the main activities of the company is the development of strategic projects and programs for the public and private sectors, as well as the evaluation of the effectiveness and sustainability. The company provides consulting services to promote the strategic development, as well as support long-term economic growth.